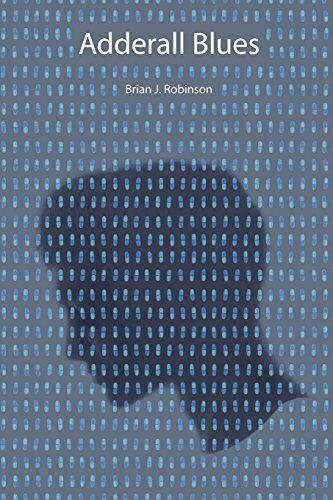 “Adderall Blues” by Brian J. Robinson is a memoir of the author’s life dealing with ADHD and all the issues that come with the disability. Mr. Robinson holds nothing back in this tell all personal story of his ups and downs, including addiction, travel, education, relationships and work. The author opens up his life struggles in this book, starting at an early age in school. His challenges to stay focused and sit still are common symptoms of a child with Attention Deficit Hyperactive Disorder. Being a smart kid, Mr. Robinson just stopped doing well in school because he wasn’t a “typical” learner. He needed visual and hands on learning versus just verbal instruction. He continued to struggle into college. When Adderall came into the picture, it helped a bit, but the author shares how he started abusing the drug meant to help him focus. His health was in danger a few times, but he continued to abuse Adderall along with alcohol and other drugs in an attempt to cope with the world and his mind. As a former teacher of children with special needs, I saw a lot of ADHD in the classroom. The author has strong opinions on medication for children and adults with ADHD, and I tend to agree with him. Medication can help some behaviors that are not “acceptable” in the classroom, but it also greatly limits the creativity and personality of the individual. Medication can also become addictive, which can be very dangerous as was the case with the author. I highly recommend “Adderall Blues” by Brian J. Robinson for anyone with ADHD, or with a child with ADHD. It was an eye opener for me. I didn’t realize how much this disorder affects a person’s entire life, and it’s not just in childhood. Teachers and administrators who work with students with special needs like ADHD could also benefit from reading an open and honest story of the real struggles with this disorder.